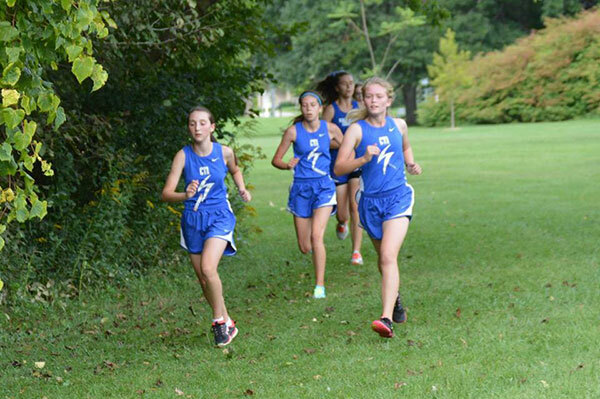 The Charger Girls’ Cross Country team works together at the Independent Conference Meet. The 2015 Creative Technologies Academy Cross Country Team has already participated in their first two races: Kent City Long Lake Invitational and their first Independent Conference Meet. Running for this year’s varsity girls’ team is senior Kaleigh Keech and freshman Brianne Calkins. This year’s boys’ varsity team consists of junior, Ethan Lehman; sophomores Les Miner, James Hofstra, Dawson Armstrong, and Jonathan LeTourneau; freshman, Dawson Ingersoll. The current school team has strong and seasoned runners who are serving as mentors to the newer and younger middle school runners. 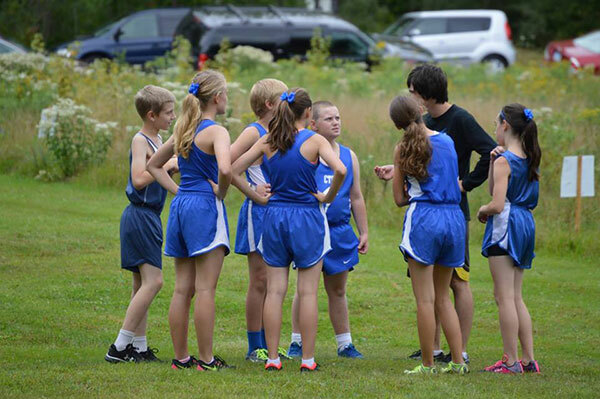 There are eight runners in grades 6-8 participating in cross country this season. And while the current high school team is going strong, CTA is also excited for the future with a strong and growing middle school team. With eleven meets left in the season, both the high school and the middle school teams are continuing to work hard and press on for a great 2015 cross country season! Junior Ethan Lehman uses the knowledge of his years of racing as he mentors the Middle School CTA Cross Country Team.